Built in the early 1950’s on fields previously used for flower farming, Lynvale is now a three bedroom, three bathroom holiday home with parking, gardens and stunning views. 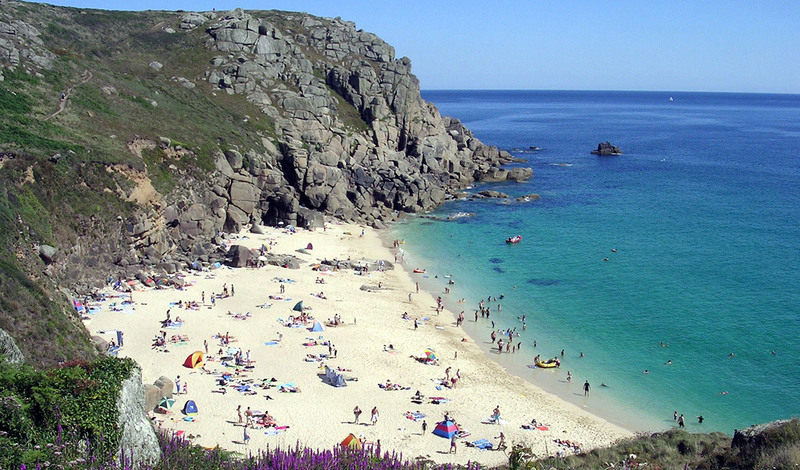 It has become a popular place for families and groups of friends to explore Mousehole and West Penwith, with a following of returning guests who have made Lynvale their Cornish holiday home. I'm also convinced of its virtue and I live here too - in the annexe which is joined (by locked door) to the main holiday home and have many ‘locals secrets’ to share with you. 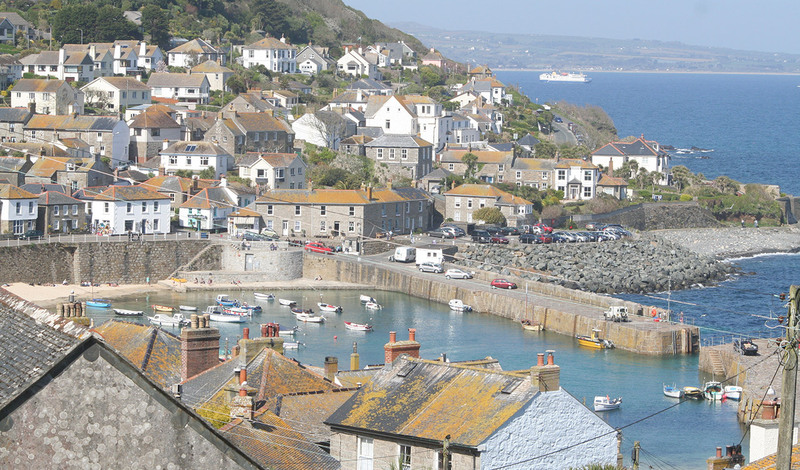 If you would like to eat breakfast gazing at the sea, explore the gorgeous fishing village of Mousehole, find the most stunning and alluring locations in Cornwall, cook an evening meal of fresh Newlyn fish and trade adventures on our comfy sofas then this is the place for you. After your Cornish holiday at Lynvale you are bound to return home with lasting memories; happy, healthy and more relaxed than when you arrived. Das Haus wurde in den fruehen 1950er Jahren erbaut, auf Feldern,die ehemals zum Blumenanbau genutzt wurden. Lynvale ist jetzt ein Ferienhaus mit drei Schlafraeumen, drei Badezimmern,eigenem Parkplatz, Garten und einem aussergewoehnlich schoenen Ausblick.Es ist ein beliebter Ort fuer Familien und Gruppen von Freunden um Mousehole und West Penwith zu erkunden und um immer wieder zurueckzukommen. Ich liebe diesen Ort und wohne selbst auch hier,im Nebengebaeude des Ferienhauses. Gerne gebe ich meine Geheimtipps fuer Mousehole und Umgebung an Sie weiter. 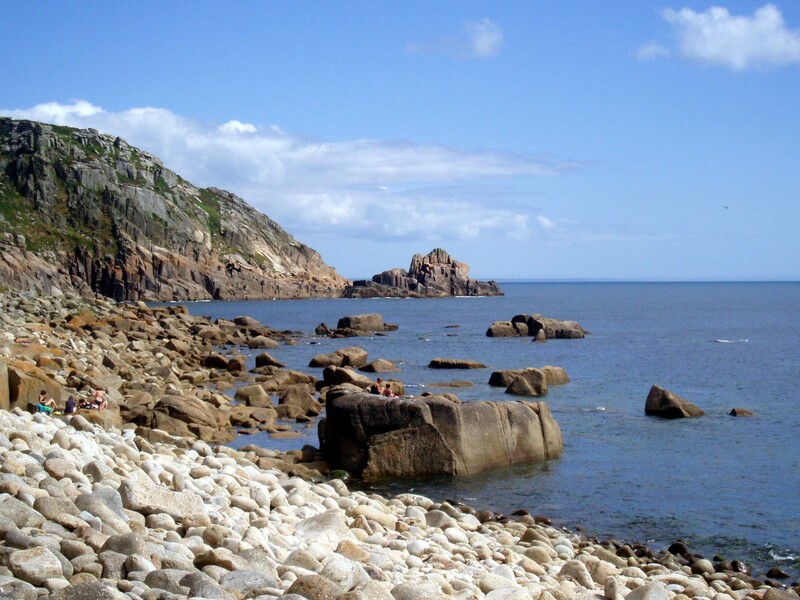 Wenn Sie gerne fruehstuecken mit Blick auf das Meer,das herrliche Fischerdorf Mousehole erkunden woollen,die atemberaubensten und verlockensten Orte in Cornwall finden woollen,ein Abendessen mit frischem Fisch aus Newlyn bereiten wollen und sich anschliessend mit Familie und Freunden auf unseren gemuetlichen Sofas ueber all das austauschen wollen,dann ist dies genau der richtige Ort fuer Sie. Wenn Sie aus Ihrem Urlaub in Lynvale nach Hause zurueckkehren,warden Sie glueckliche Erinnerungen mitnehmen und gesuender und entspannter sein als bei Ihrer Ankunft. 'We returned to Mousehole for the lights, again with our two sets of friends. Such good self-catering accommodation. Rooms sparkling white, beautifully furnished, elegant and modern. Excellent service throughout from the friendliest host possible. Three good double bedrooms, two en suite, one wiht its own bathroom, a lovely separate dining sitting room, well equipped kitchen. Plentiful parking on site. Great for drying towels and wetsuits. ...with hanging space and shoe/slipper rack. 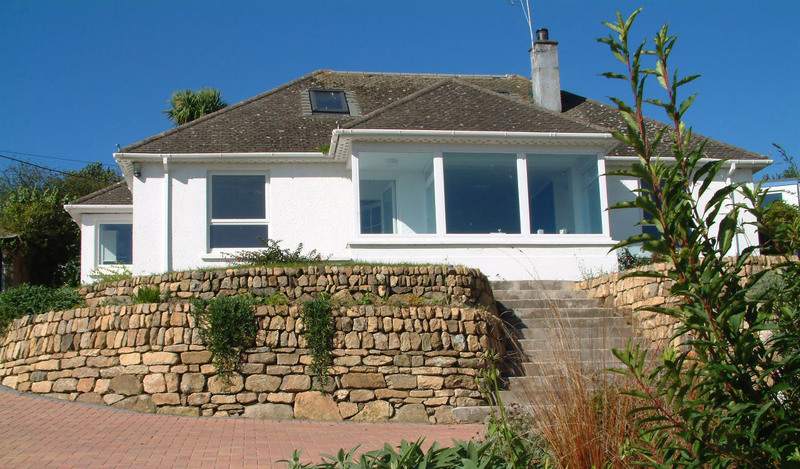 En suite (walk-in shower, W.C., basin), T.V., double bed, sea views. Electric double oven, ceramic touch hob, dishwasher, microwave, washing machine, fridge/freezer, pantry. Comfortable Ercol sofas, T.V., sea and countryside views, lovingly restored mid-century Ercol table, 6 chairs and sideboard, original 1950's parquet floor. Sea and countryside views, twin beds, T.V. Bath with shower over, W.C., basin. En suite, (enclosed shower, W.C., basin), T,V.,king size four poster bed. Patio and lawn to the front, picnic table, large bench, coffee table, two chairs. Magnificent view of the sea and St. Clements Isle. grossartig um Handtuecher und nasse Waesche zu trocknen. Elektroherd mit Ceranfeld und Backofen, Spuelmaschine, Mikrowelle, Waschmaschine, Kuehlschrank, Speisekammer. Komfortable Sofas,TV, Meerblick,liebevoll restaurierter Ercol-Tisch mit 6 Stuehlen und einem Sideboard. Original 1950er Parkettboden..
Vorgarten mit kleinem Tisch,grosser Bank und zwei Sesseln,sowie Picknicktisch mit fantastischem Blick auf das Meer und St. Clements Isle. A welcome pack and cream tea will be waiting for you on arrival. Towels, bed linen and tea towels are supplied. Contact details for the housekeeper are available in the hall if you require a linen change during your stay. Code available on a card in the hall. Electric storage heaters and thermostatically controlled independent heaters make Lynvale super cosy. Code shared with guests 1 week before arrival. Change-over day is Saturday. Guests are requested not to arrive before 4pm, and to leave by 10am on the day of departure. Lynvale, has a steep drive and steps lead up to the front door. You can drive up to the side of the house which makes access easier and park in the road below if your car is low to the ground. Usually, this arrangement is fine but if you think the drive and steps may be a problem, please chat to me about them. Ein Willkommenspaket mit Cream Tea und Scones und den noetigsten Dingen fuer den erste Tag (Spuelmittel,Waschmaschinen Tabs...)stehen fuer Sie bereit. Handtuecher, Bettwaesche und Trockentuecher sind vorhanden. Kontaktinformationen finden Sie in der Mappe in der Eingangshalle. Falls Sie z.B. waehrend Ihres Aufenthalts einen Waeschewechsel benoetigen. Der Code steht auf einer Karte in der Eingangshalle. Elektrische Heizkoerper machen Lynvale warm und gemuetlich. Der Code fuer den Schluesselsafe wird Gaesten eine Woche vor Ihrer Ankunft mitgeteilt. Der Safe mit dem Haustuerschluessel befindet sich am Treppenaufgang an der Tuer. An-und Abreisetag ist Freitag. Gaeste werden gebeten nicht vor 16:00h anzureisen und am Abreisetag bis 10:00h das Ferienhaus zu verlassen. Lynvale hat eine steile Auffahrt und Treppen , die zur Haustuer fuehren. Sie koennen vor dem |Haus parken, wenn Ihr Auto nicht zu tief liegt. Ansonsten gibt es wenige Parkplaetze an der Strasse. Wenn dies ein Problem sein sollte, sprechen Sie mich bitte an. 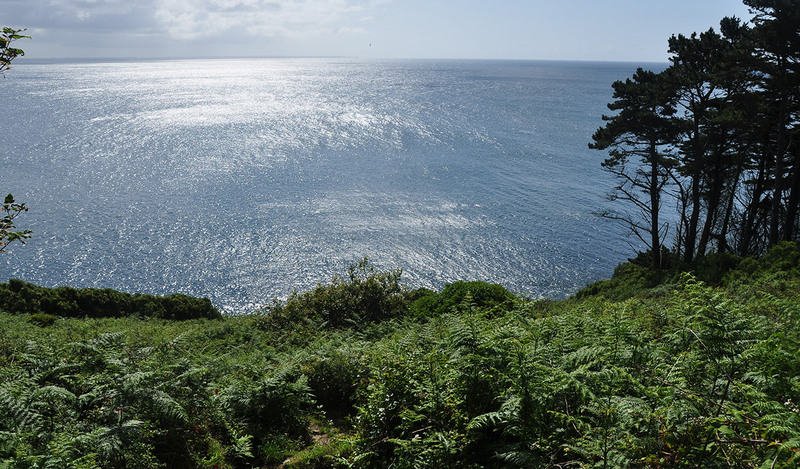 From Penzance Railway Station follow the seafront past the Harbour and along the Promenade to Newlyn. Pass Newlyn (Passmore Edwards) Art Gallery on your left and continue onto Newlyn Bridge. From Newlyn Bridge continue forwards onto Chywoone Hill. (B3315. Signposted Paul, Lamorna and Porthcurno). At the top of the hill take the left turn (signposted Paul and Mousehole). Continue on to Paul, passing between the Church and Kings Arms Pub down towards Mousehole (this is Mousehole Lane). Pass a right turn for Parc an Gate. Pass a triangular school warning sign on the left. Turn right immediately after the school sign towards a white garage. Drive slowly; the drive is steep. Continue to bear left onto the drive. From Newlyn Bridge, bear left and continue on the same road keeping the sea on your left (approx 2 miles) until you reach Mousehole. Pass the Coastguard Hotel on your left and continue down the hill. At the bottom of the hill turn right. Follow the road, which bears left, then right, up-hill towards Paul. Continue until you find three garages on your left and a left turn to Parc an Gate. Turn around here so you are facing downhill again. Pass a triangular school warning sign on the left. Turn right immediately after the school sign towards a white garage. Drive slowly; the drive is steep. Continue to bear left onto the drive.